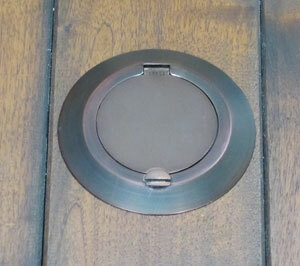 Available in antique bronze (#FRAB) or brushed nickel (#FRBN) finishes. 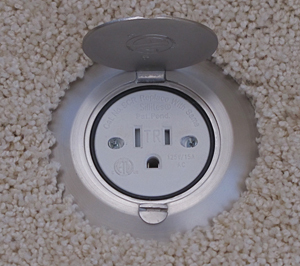 Use in carpet, tile or wood covered floors. 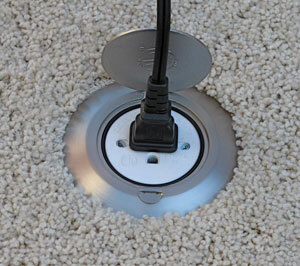 Hinged lid is captive to prevent loss. 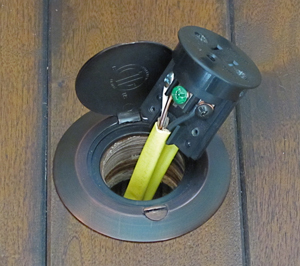 Drops into a 1-3/4” hole. 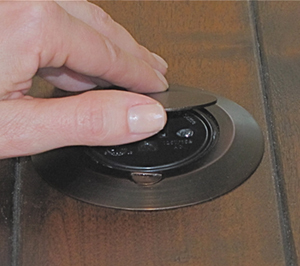 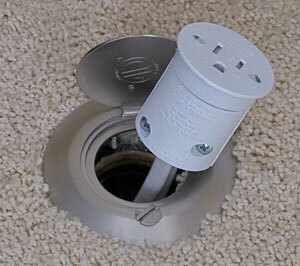 Only extends 2” below the top of the floor�s surface to allow placement in most any location desired. 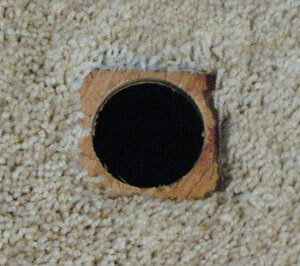 In wood floors, drill a 1-3/4� round hole. 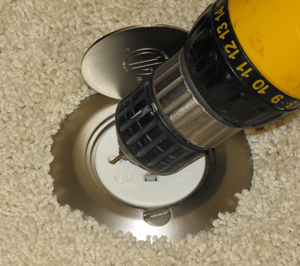 For carpet or tile covered floors, cut a 2� x 2� square hole in the carpet or tile first, then drill a 1-3/4� diameter hole through the sub-floor. 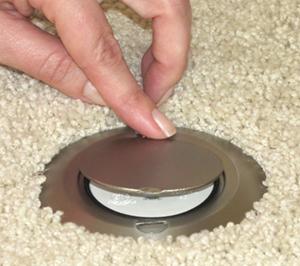 Place the floor ring over the hole, pull the electrical wires (one or two sections) up through the ring and connect to the SCR and then attach the cover doors. 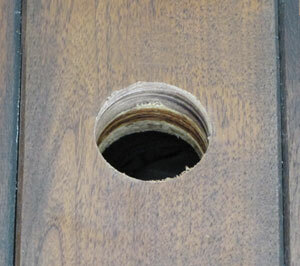 Drill pilot holes into the floor/sub-floor for the SCR mounting screws and then secure the SCR and floor ring with the mounting screws provided. 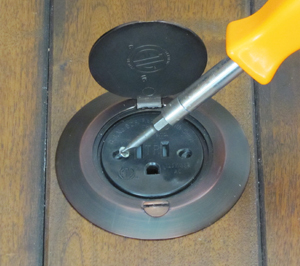 Place the O-ring on top and around the outer edge of the SCR and close the lid to seat it.